The large mire Slengmyran spreads out in all directions and it is easy to thought “what am I doing here?” while walking towards the cold spring. 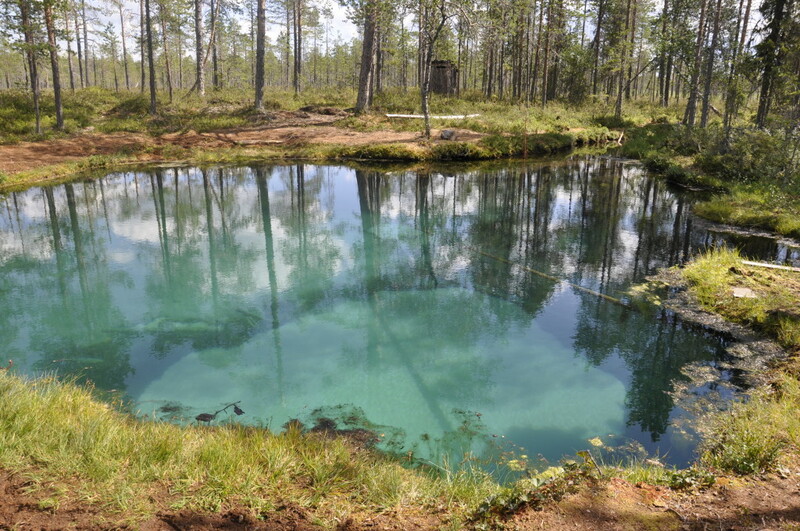 This though will disappear quickly once you see the clean and green water of the spring. 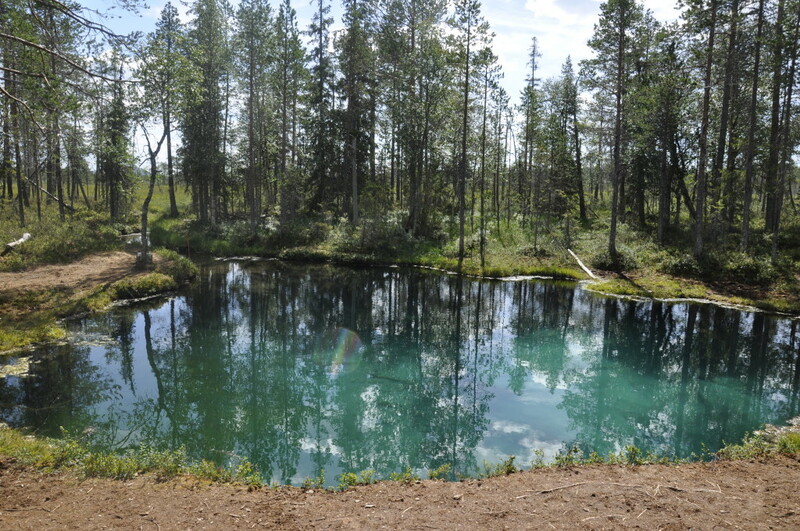 Right on Slengmyren is this amazing place, a place where the water looks like a tropical lake than the dark water one usually finds in the Lapland forest land. The 3-4 meter deep Grod source is like something taken from fairy tales and surprises time and again. Angle source is named of the Sami people, these frogs have hibernated in the clear water a long time and by the water rarely freezes, one has been able to find running water here. 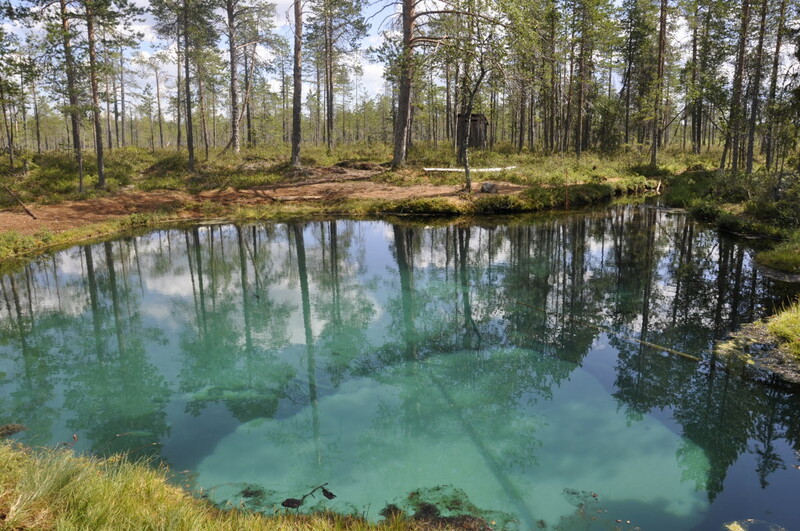 The clear waters of this cold source is sweet and it is said that the Sami used to stay here during their migration to the church festivals in Arvidsjaur. At the bottom of the source you can see how the water bubbles like a nature’s own hot tub. At the 10×10 meter source is a shelter and toilet. To get to Angle source, or Tsuobbuoája as it is called in Sami, as you drive along the E45 and just north of Auktsjaur is a path that leads towards Lomträsk. After 4 km display purposes to the source. Turn onto the road, which is even smaller, and after about 3 km there is a sign to the source. From here it’s a 10 minute hike to the source and excursion destination is also perfect for families with children.